I have started writing myself weekly to-do-lists with hopes they will keep me more productive. Last weeks definitely worked out well, as I took about 120 photos between two projects. One of my weekly items is to write at least two blog posts a week and I hope to keep to that! 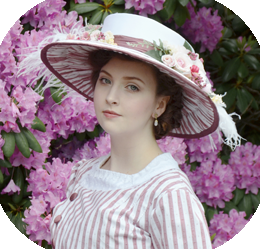 This project is a little different from anything I’ve ever made before, it isn’t made to be worn to a convention, and it doesn’t even have any ruffles! The idea came when I was chatting with a friend about avatar hoodies i’d seen on etsy, and how wonderful and creative they were. As much as I liked them, I couldn’t imagine spending that much money on something relatively simple. Later that day I was in the basement and came across five yards of ivory, double sided minky material, which I took as a sign to make my own. A few hours later I had doodled up a design inspired by my favorite creature from Avatar the last Airbender. ATLA is a series I really enjoyed, it’s funny and lighthearted and almost every episode makes you smile or laugh. Sadly my favorite characters are either short, very tan, or male, and I don’t feel like I could do any of them justice. So this is what I decided to do instead…. 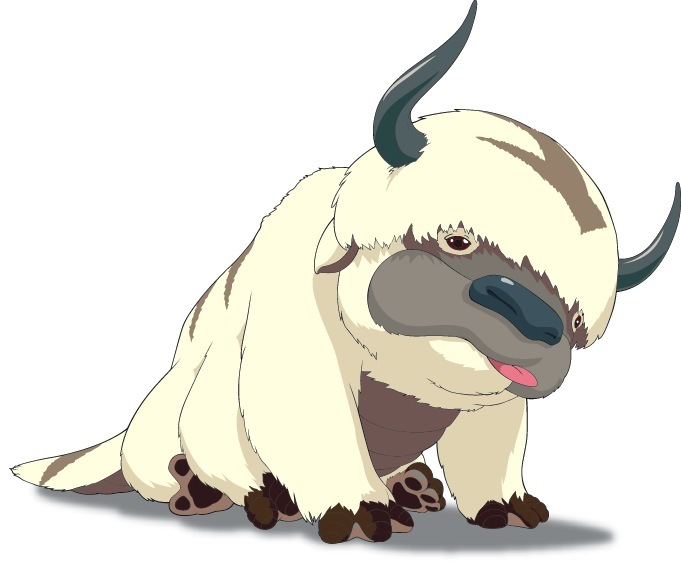 This is Appa, who is a Flying Bison. He serves as the main form of transportation in the series and has some comedic value as well. 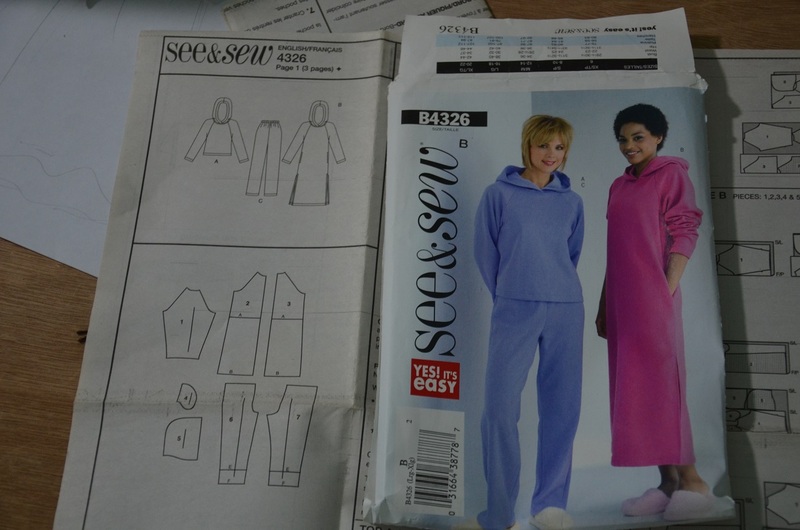 It originally started as a plain hoodie, but with how soft and lovely the fabric was (and how much of it I had) I decided it was better suited for a pajama set. So I doodled up a pair of shorts to match! 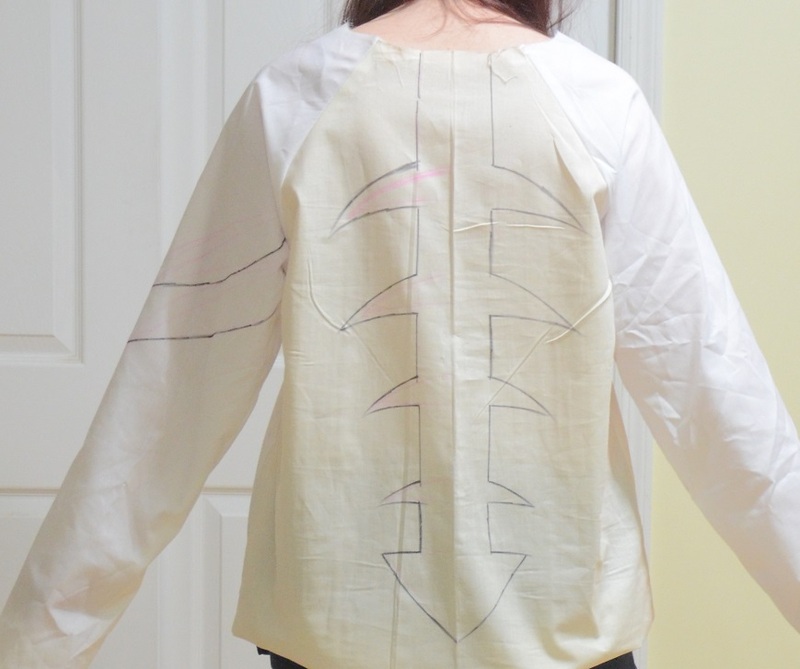 As you can I see I have my front/back sketches, and a bit of what the sleeve pattern should look like. 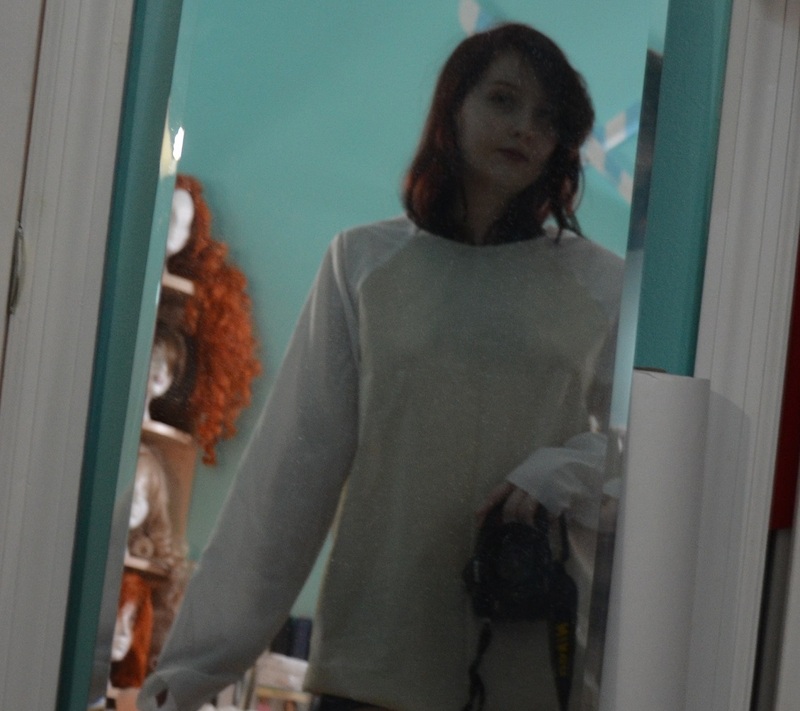 I also tossed the pocket and hood pattern since I didn’t like either of them. The pants were cut into shorts, and the dress was cut into a top. 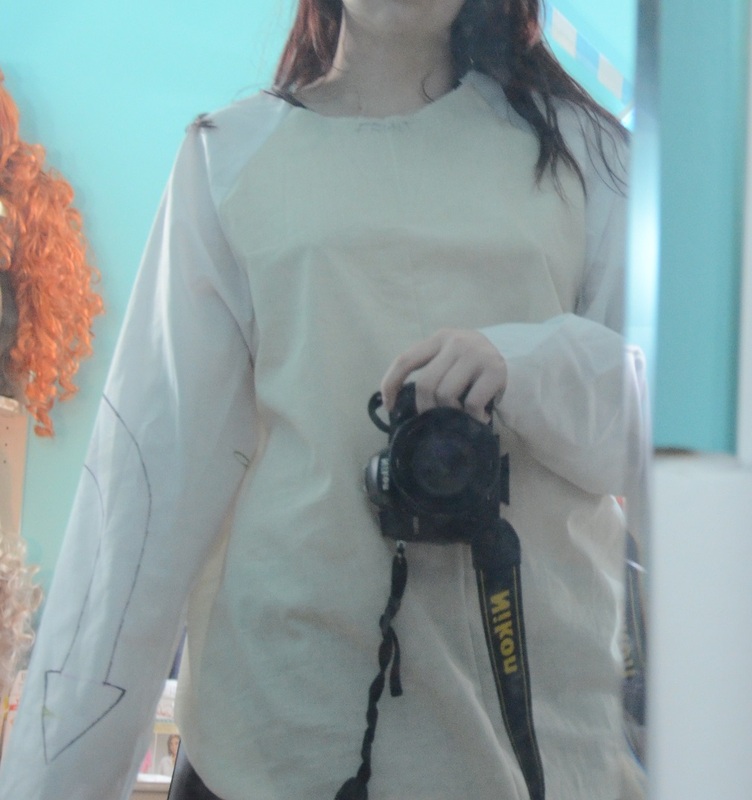 Then I pinned the butchered pattern onto some muslin and cut it. 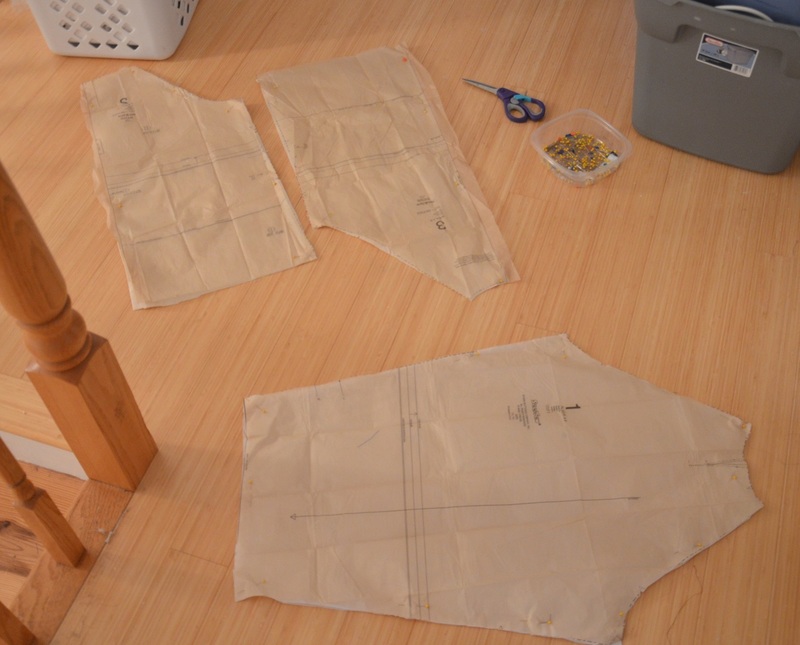 The pattern was ridiculously easy, assembly took less then five minutes since it is literally six seams to make the top, and five for the shorts. I ended up finding the top too big, and the shorts too long. Both got taken in several inches until the suited me a little better. The shorts aren’t pictured since I neglected to photograph them. Once it fit I got out a set of french curves, a ruler, and a pencil, which helped me draw out the arrows and iconic Appa markings! Once that was complete I traced them onto the other side, did up the sleeve arrows, and took a few pictures. I was really happy with it! I ended up running into machine troubles an called it quits. 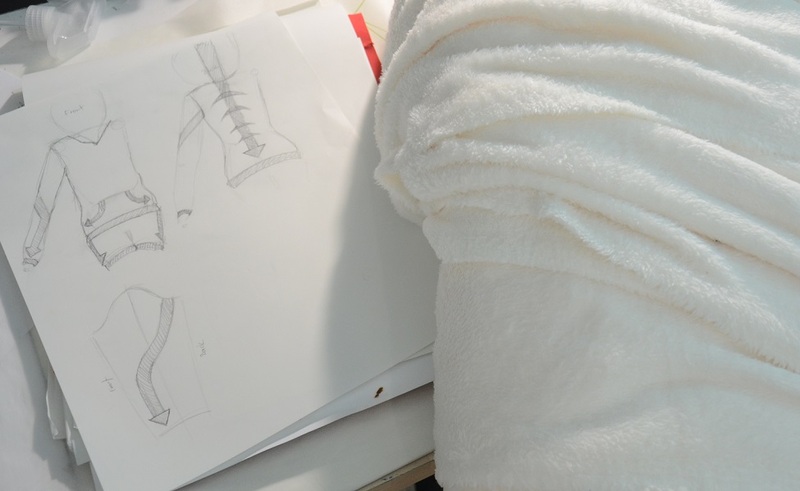 The next day I attempted a hood and horn pattern but it was kind of a fail? The hood needs a lot of work and the horns were pretty laughable. The left one is smaller, and I like it much more. I’m actually fond of the shape, it’s just too large. 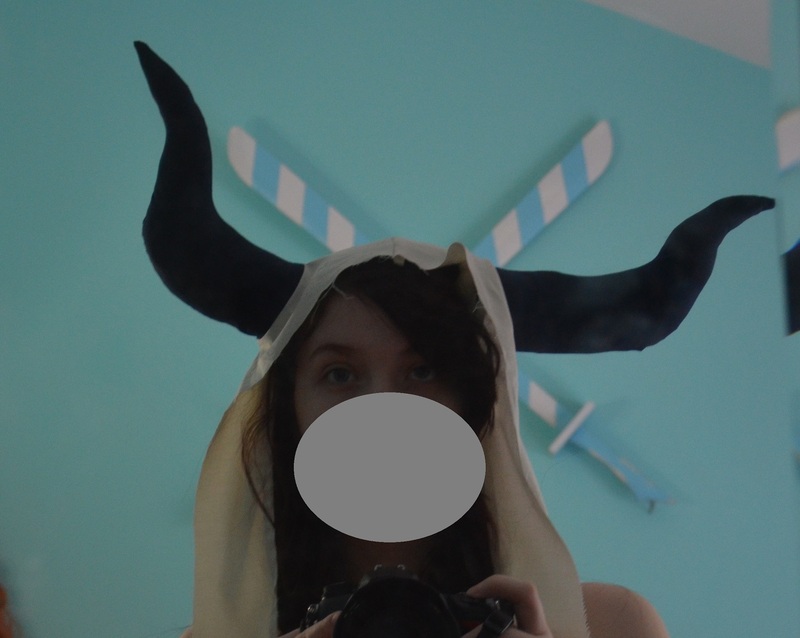 I also feel that the hood needs ears to balance out the harshness of the horns. So I really need to go through and re-draft this bit, hopefully it won’t give me as much trouble the second time around. 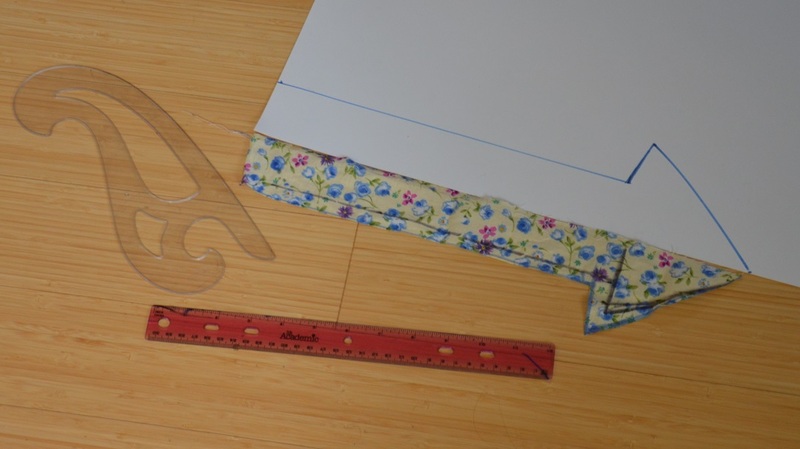 Instead of re-making the entire pattern from paper, I altered the one I had bought. 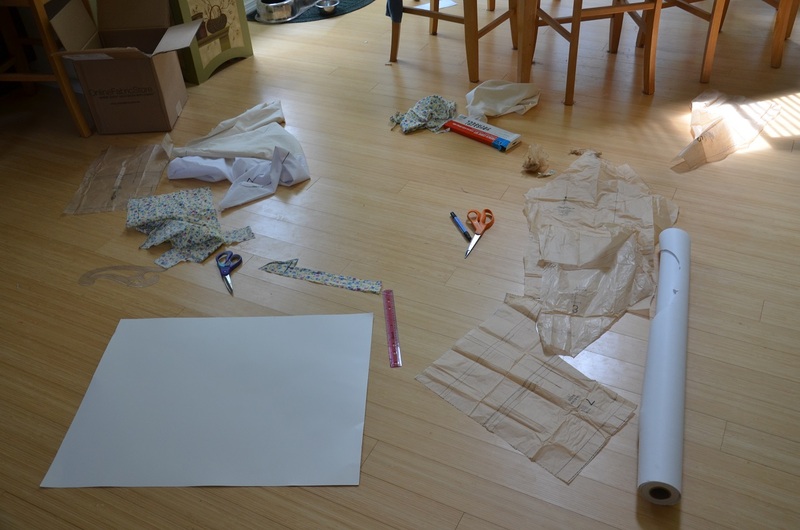 This basically required ripping apart the mock up, pressing it, and laying each piece atop the corresponding paper pattern piece. Then I just cut of the paper around each piece and it was fine. 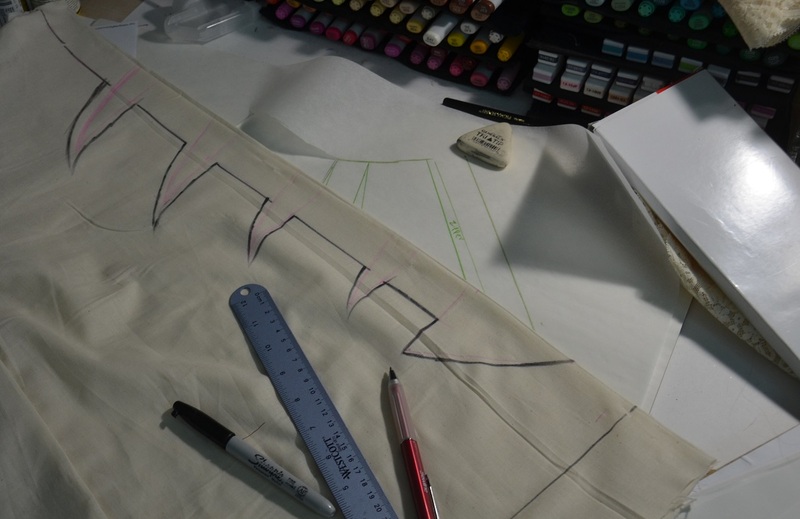 The alterations were really minimal, just removing a few inches at each seam, and changing hem lengths. 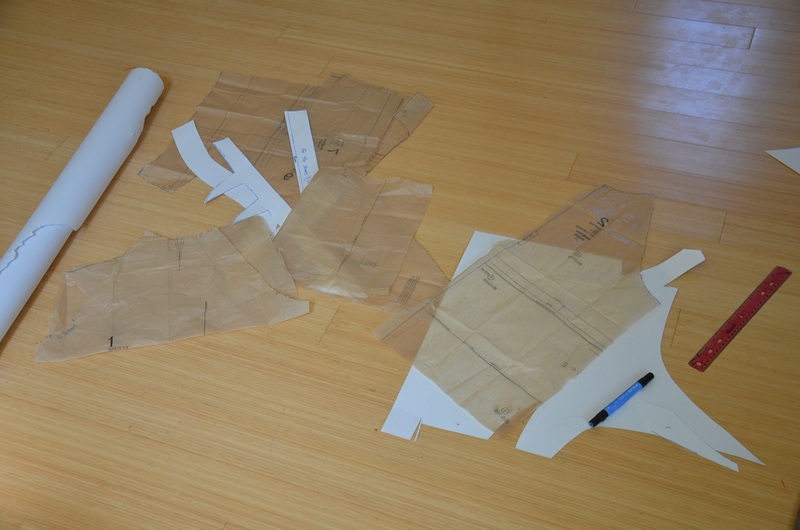 Once that was done, each piece of my mock up was cut apart. I cut out each arrow and traced them onto poster board. The reason for this shall become obvious in the next post! I also remeasured and smoothed out any of the “rough around the edges” and made sure they were symmetrical and all that. And with that complete, I was ready to move onto the next stage. But you will need to wait a few days for that post!